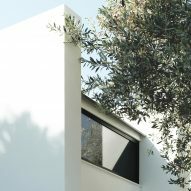 Milan's Mandalaki Design Studio has teamed up with American company BoutiqueHomes to offer an Italian-made prefabricated home, aiming to simplify the design and construction process. Encompassing 27 square metres (291 square feet), the Monocabin contains a bedroom, bathroom, kitchen and living/dining area. Designed by Milan-based Mandalaki Design Studio, the micro home recently became available for purchase in Europe and the US. BoutiqueHomes, a California company that runs a curated vacation rental and products website, is handling sales on both continents. 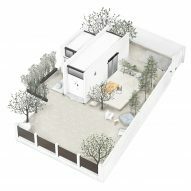 The goal of the project is to simplify the process of designing and constructing a small home. "Our method helps in saving time and money by avoiding architects, engineers and interior designers, as Monocabin is all-included," the team said. 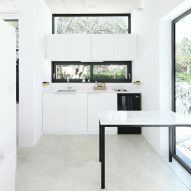 The home is also intended to be eco-friendly, as it is "designed to minimise environmental impact, from construction to energy consumption, throughout its life". 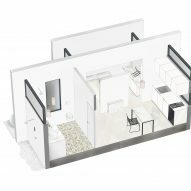 The Monocabin M model consists of a linear volume adjoined to a smaller box – however, the modular dwelling can be expanded as needed. 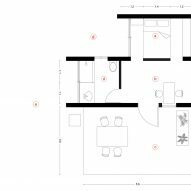 Two larger models are also currently offered: Monocabin L is 34 square metres (366 square feet) and Monocabin XL is 63 square metres (678 square feet). 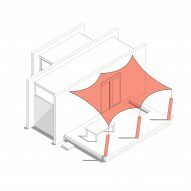 The parts are fabricated by Italian company Habito and assembled on-site by a team of specialists. The walls are made of a combination of fibre-reinforced concrete, plywood and drywall – with insulation made of hemp. 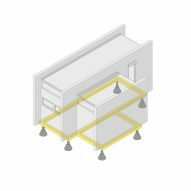 The walls are 20 centimetres (eight inches) thick in order to ensure ideal acoustics and thermal insulation. 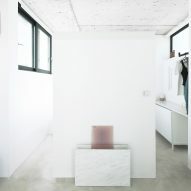 The wall surfaces, like other components, can be customised. 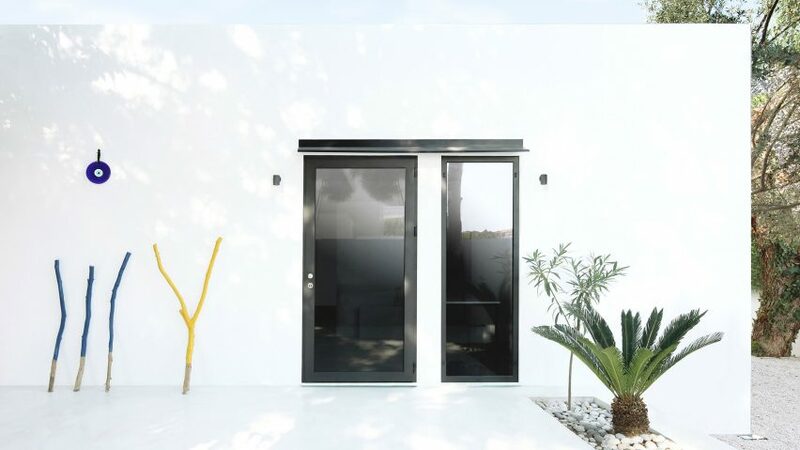 "The exterior and interior walls can be customised with any finishing you desire, from simple paint to stones or decorative tiles," the team said. The home's flat roof is covered in ribbed steel panels. Triple-glazed windows have sandblasted aluminium frames. 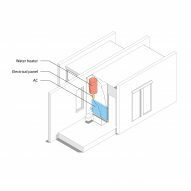 A "smart wall" system accommodates a water heater, an air conditioning and heating system, an electrical panel, storage space and an Apple TV. The cost for a basic Monocabin M is $45,000 (£35,339). The Plus version includes furniture, appliances and lighting. Customers can select from add-on features, such as solar panels, automated blinds and a smart-home system. The customer pays for shipping, which ranges from about $2,800 (£2,170) in Europe to $7,500 (£5,810) in the US. The customer is also required to handle such tasks as acquiring building permits, getting connected to the electric grid, and installing a water drainage system. The home's components are shipped by truck within Europe and by boat to the US. Assembly takes seven days and is handled by BoutiqueHomes and Mandalaki. 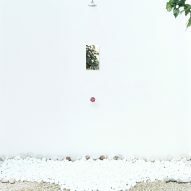 The first Monocabin (pictured) was constructed in Rhodes, Greece, as a vacation rental owned by Mandalaki. That property is how BoutiqueHomes first learned about the prefab home. Mandalaki Design Studio was founded by George Kolliopoulos, Enrico de Lotto, and Giovanni Senin – all of whom met while studying industrial design at Milan’s Polytechnic School of Design. They recently were joined by industrial designer Davide Giovannardi. 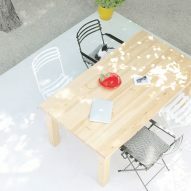 Their studio creates products that are intended to "enhance everyday living". Small, prefabricated dwellings are increasingly seen as a viable option for addressing the global housing crisis. Other micro homes include a 35-square-metre dwelling by Grimshaw made of laminated timber, and an angular home with a "micro-farming wall" designed by Gray Organschi Architecture and researchers at Yale. 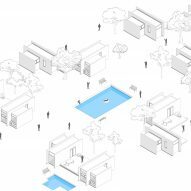 MINI Living has also embarked on an initiative to explore how architecture can be used to make the most of unused spaces in cities — a programme that has resulted in iterations of small "urban cabins" in London, Los Angeles, New York and Beijing.